TTF Heavy Duty Selective Pallet Racking System is constantly in demand by all warehousing facilities requiring palletized storage and handling. It allows instantaneous access to store articles without incurring load crushing. Besides, its features enhanced and offer excellent stock rotation function and only use 40% of warehouse floor space. Effectiveness, economical and flexibility, TTF Selective Pallet Racking System is the solution to increase warehouse productivity. In addition, TTF Selective Pallet Racking System can be setup in single and double-sided runs to best suits all forklift and hand-pallet trucks. 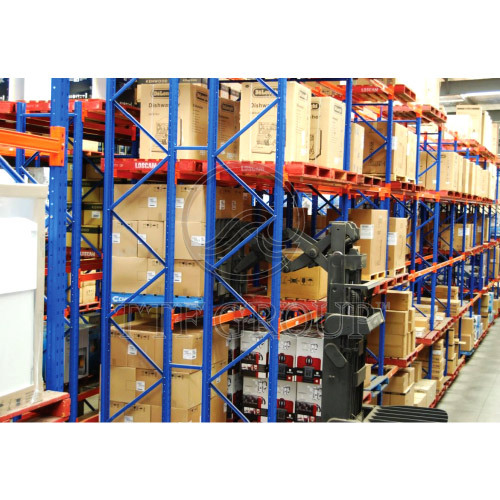 Depending on aisle width and maximum load height, TTF Selective Pallet Racking System offers a low start-up solution. In addition, by adding features like drum stoppers and frame guards, the system meets the strict safety requirements of today's modern warehouse.